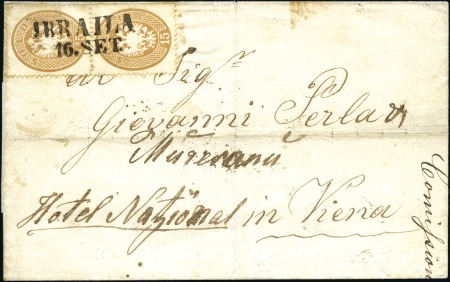 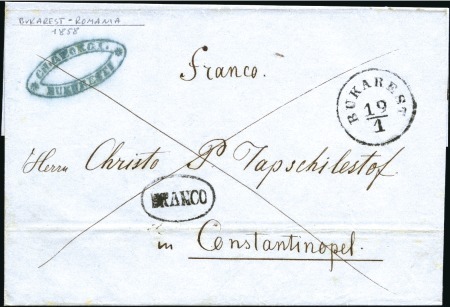 Bucharest : 1862 folded entire from Bucharest to Vienna struck with very rare and fine ‘BUCAREST / Früh’ datestamp (27/9) in black (Tchilinghirian fig…. 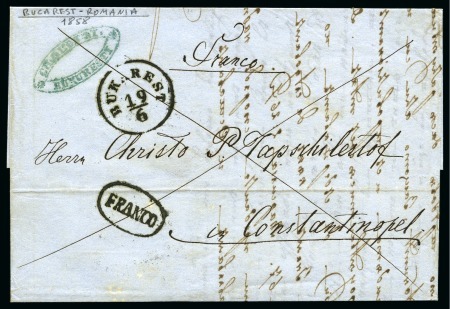 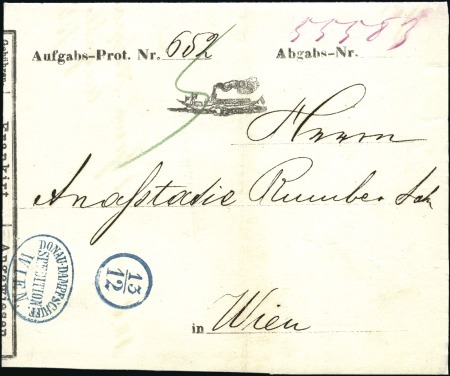 Bechet – Piquet : 1867 parcel form used from Bechet to Wien showing single circle date stamp (13/12) and oval ‘Donau-Dampfschiff Stedition Wien’ handstamps. 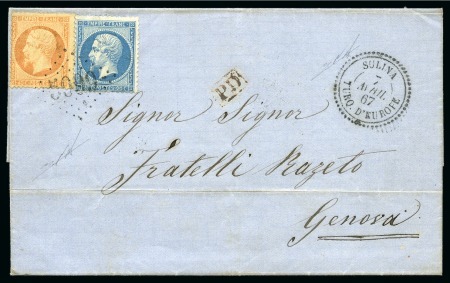 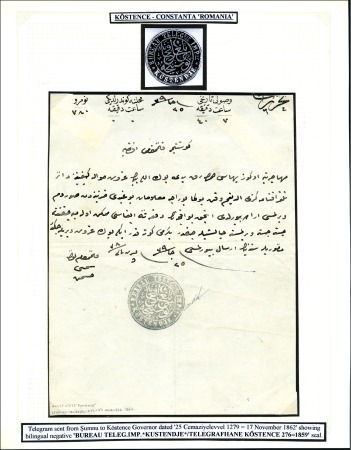 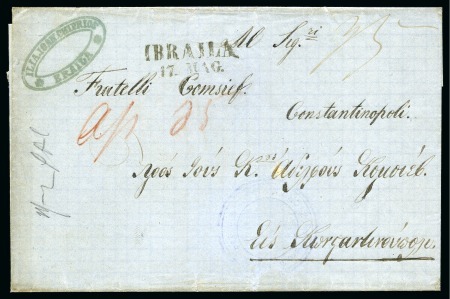 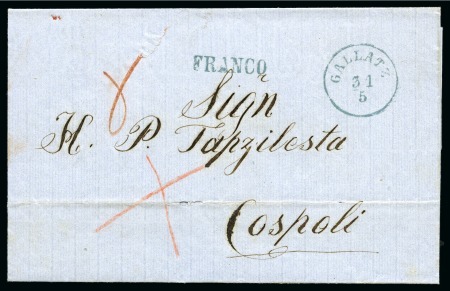 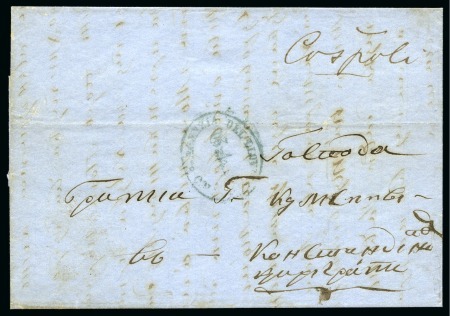 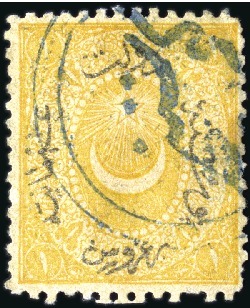 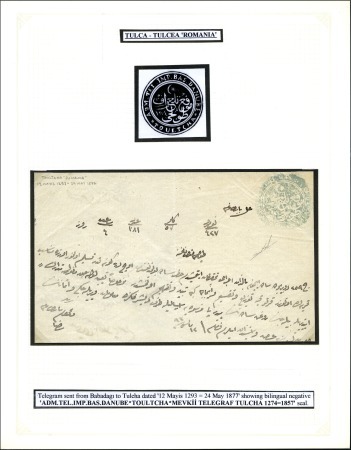 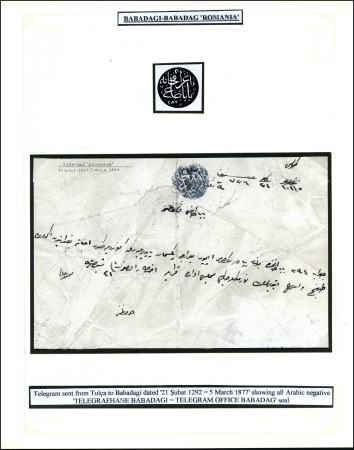 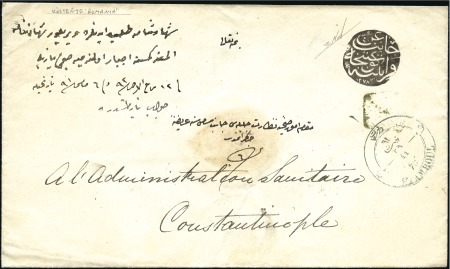 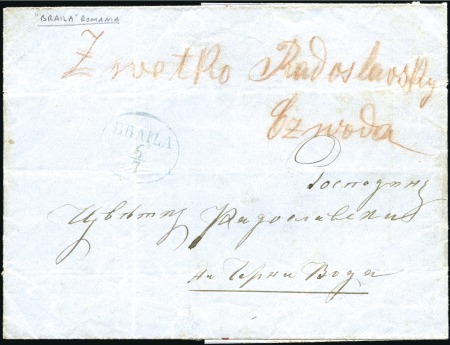 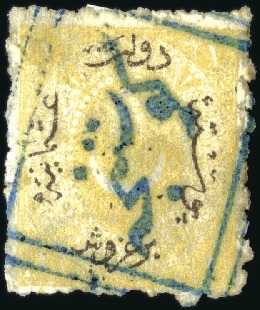 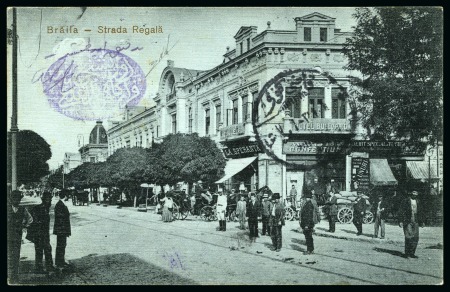 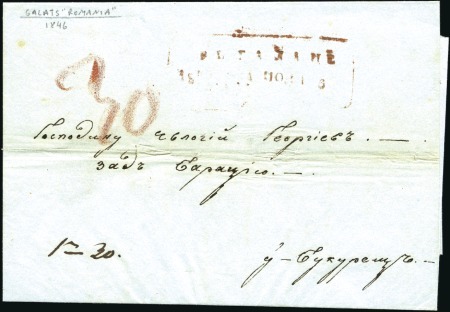 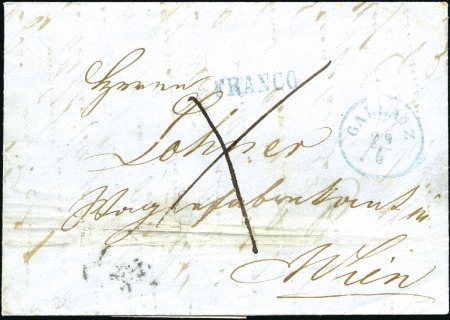 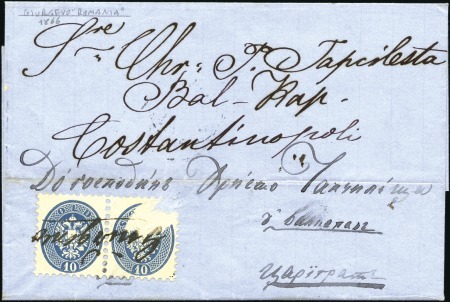 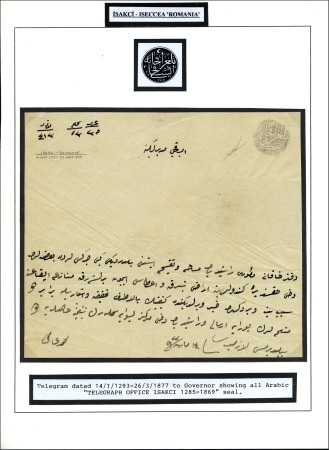 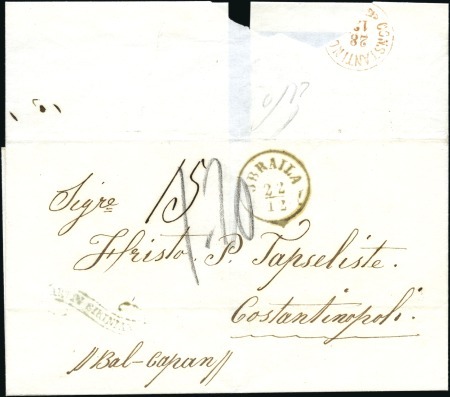 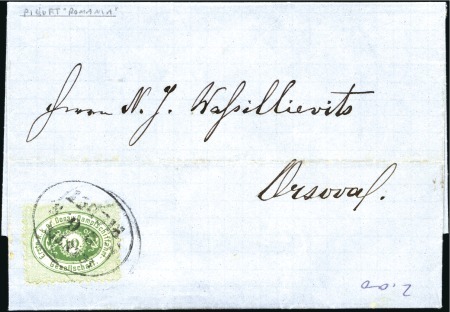 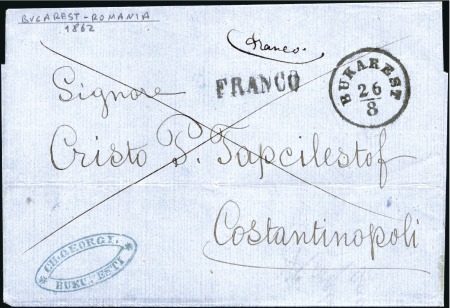 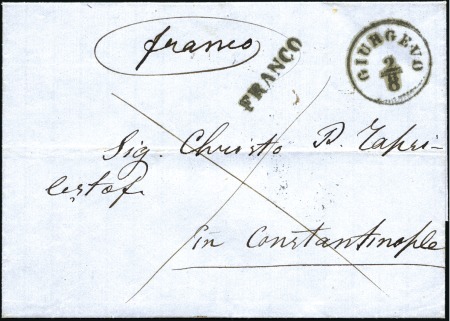 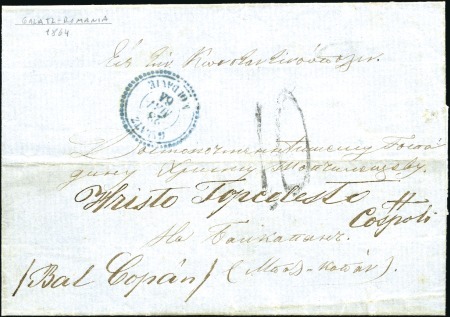 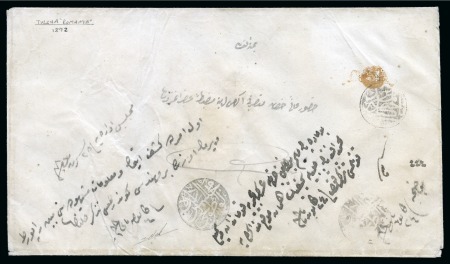 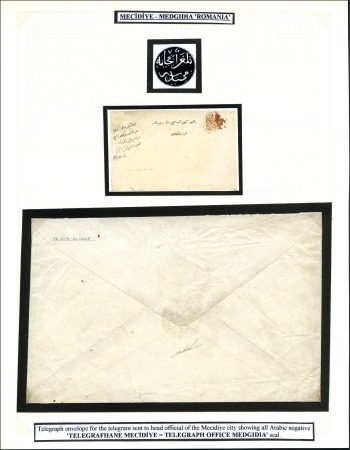 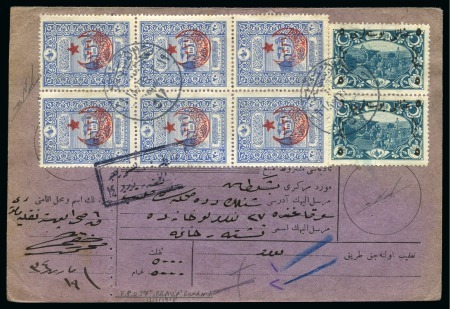 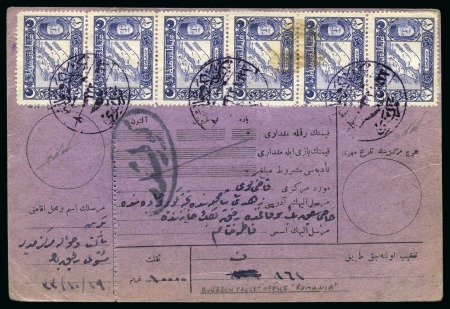 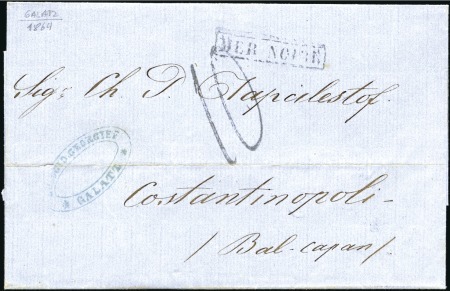 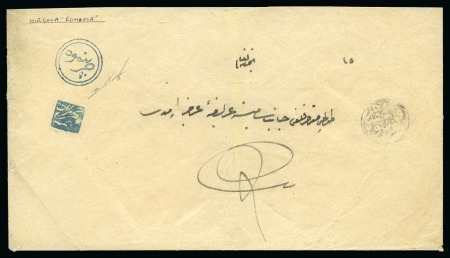 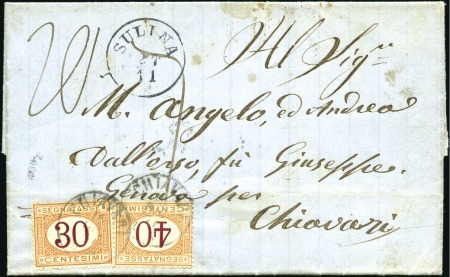 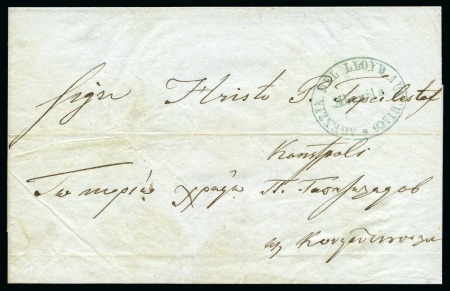 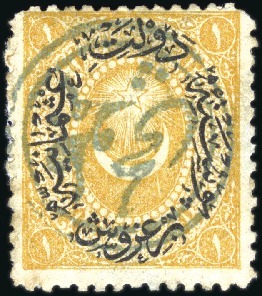 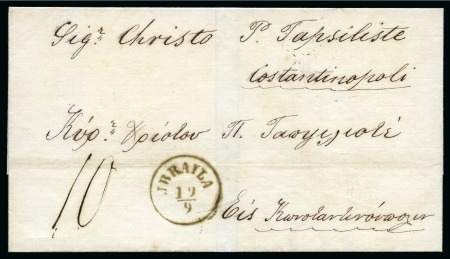 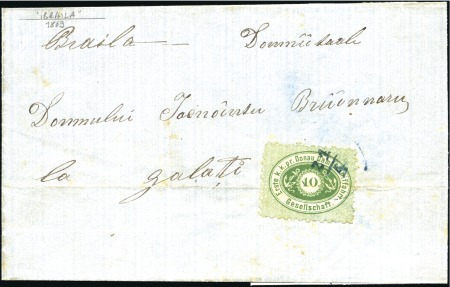 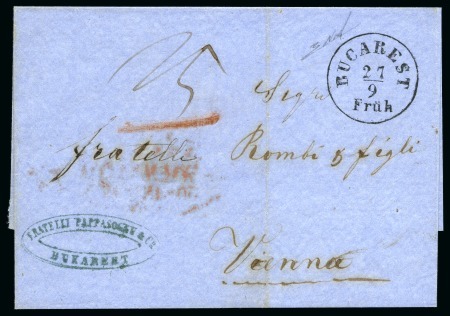 Braila – Ibraila : 1870 c, Entire letter from Braila to Czernavoda with oval BRAILA (6/7) datestamp struck in blue (Tchilinghirian fig.807). 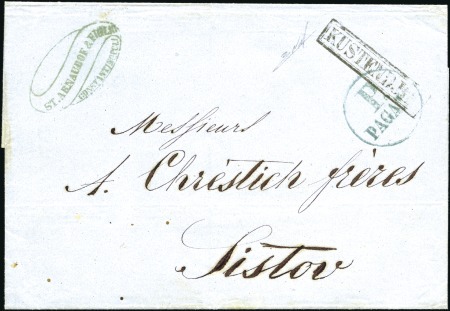 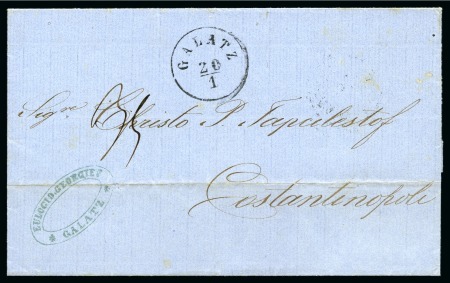 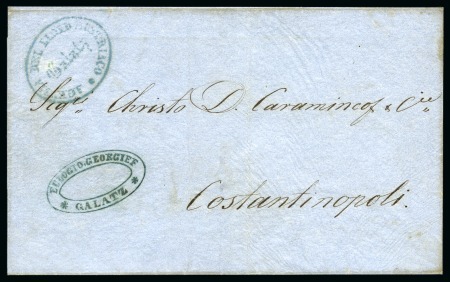 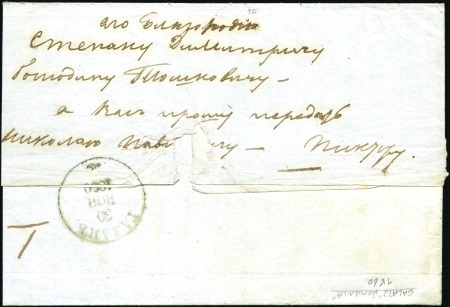 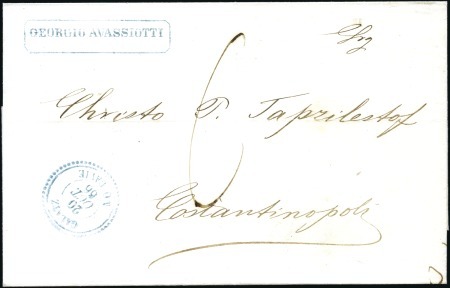 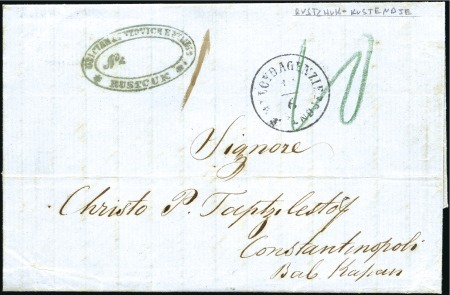 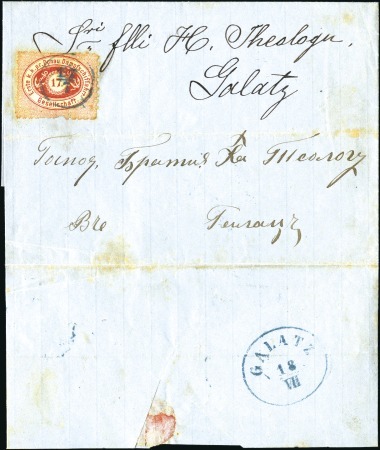 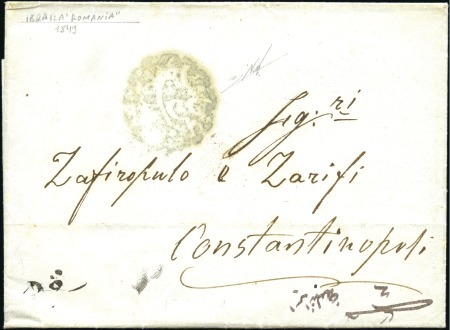 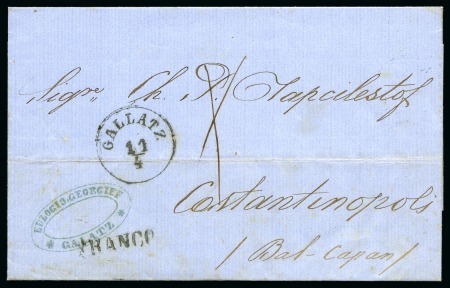 Galati – Galatz : 1860 Cover from Galati to Odessa showing on reverse single-circle green all Cyrillic ‘ ГАЛАЦЪ = GALATS’ datestamp (Tchilinghirian fig.49)….